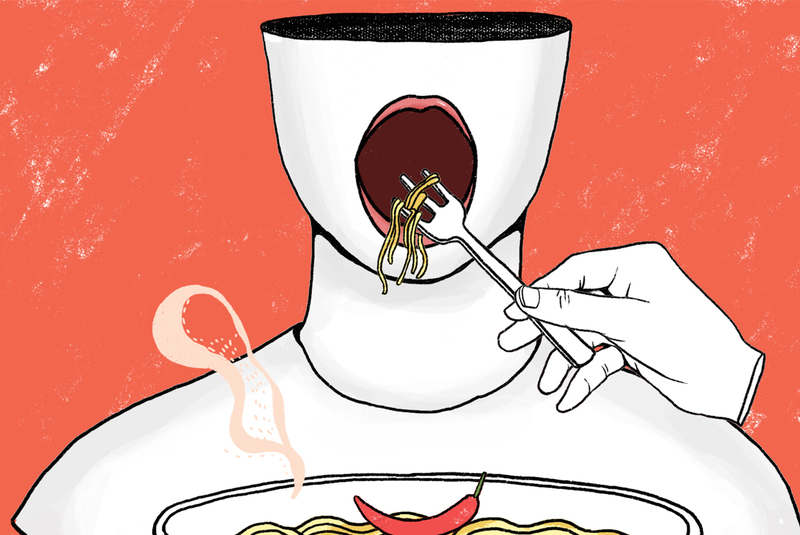 Hot Noodles is an experimental two player collaborative game that amplifies the awkwardness of intimacy and ingestion. Player one must rely entirely on player two for the controls and feedback in the game. Player two, however, IS the controller. 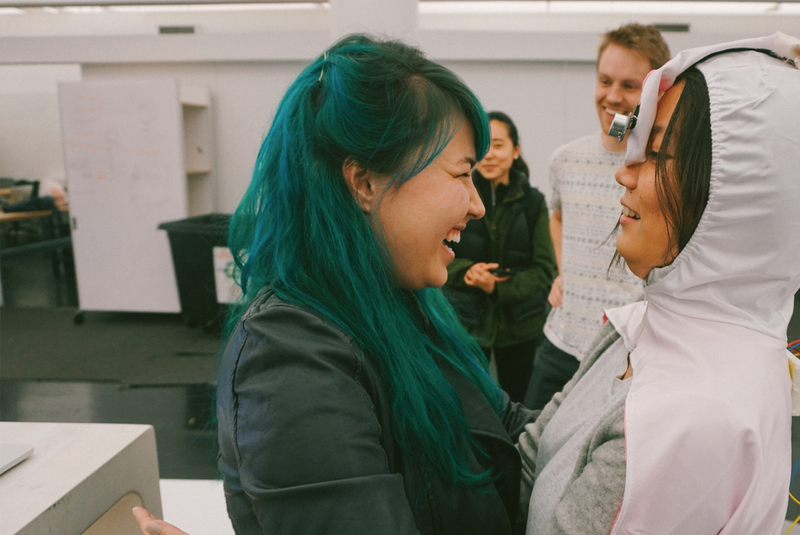 Player two wears a patented Hot Noodles hood­cape, outfitted with an ultrasonic distance sensor on the forehead and two capacitive touch sensors made from copper tape on the back. 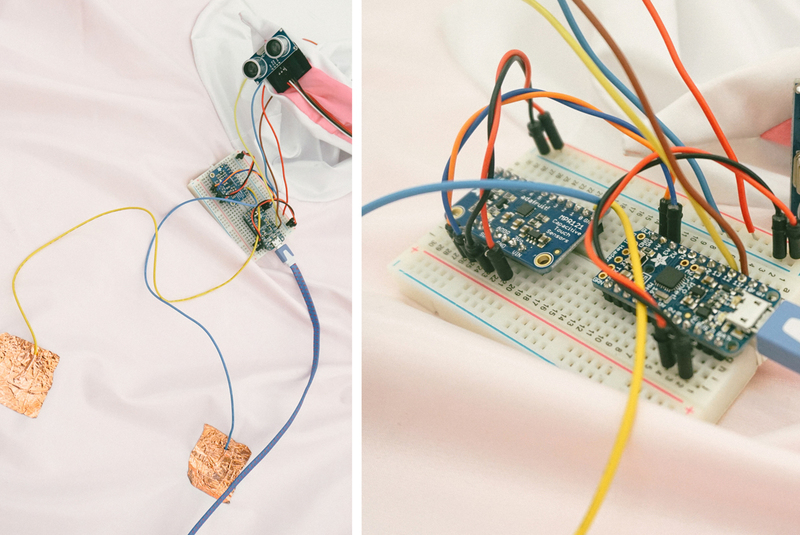 These are connected to an Arduino that modifies the position of a fork­wielding hand on­screen. Player one sits or stands directly in front of and facing player two. Player one must embrace player two in order to reach the capacitive touch sensors on player two’s back. These controls move the hand left or right. The distance between the players’ faces is judged by the ultrasonic sensor and this moves the hand up or down. The goal of the game is to feed the on screen avatar the hot noodles out of the bowl at the bottom of the screen. But the screen is only visible to player two, who must carefully whisper directions to player one as player one attempts to blindly navigate the game. The only reward for player one is the aural feedback he can hear emanating from the game screen behind him: the happy chewing noises of a satisfied avatar, or if he’s not careful, pained gasps due to a misplaced fork. 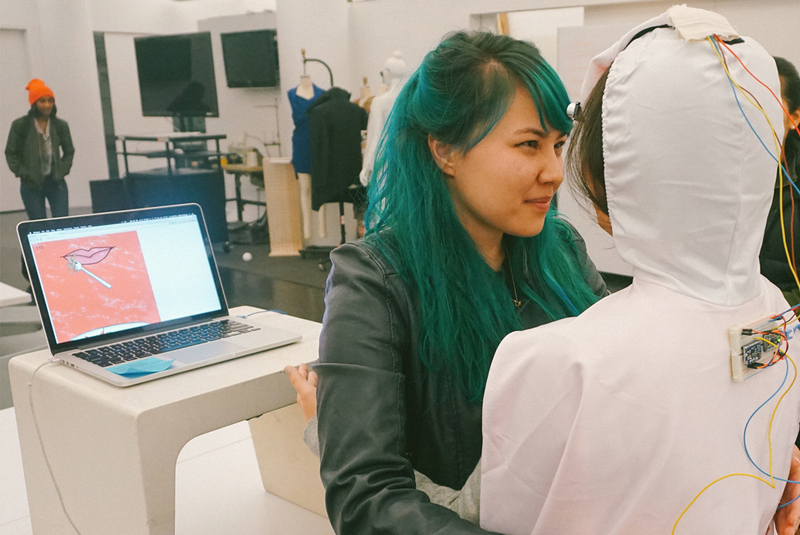 In collaboration with Tyler Henry (MFADT '16) & Nitcha Fame Tothong (MFADT '16).